Quarter 3 will be focused on pre production planning and production of your projects. 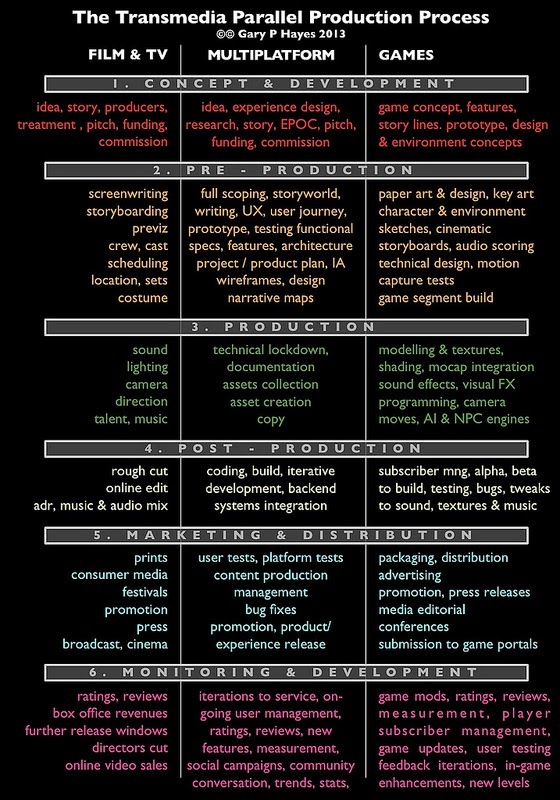 A transmedia approach means a parallel production process. For our sakes in class that means that production must happen while pre-production planning takes place. Preproduction formally begins once a project has been greenlit. At this stage, finalizing preparations for production go into effect. During pre-production the prodcution process is broken down into individual peices and a timeline is scheduled and calendared. The process often begins with a demo.